A cascading effect of unfortunate circumstances plagued local automakers and suppliers, their employees, and Michigan residents this week. A vicious polar vortex descended on the Midwest, plunging temperatures and wind chills to deadly levels. Early Wednesday morning, Consumers Energy, one of the largest suppliers of natural gas heat in Michigan, had a fire erupt at one of its compressor stations. This left the company scrambling to preserve its gas reserves, asking General Motors and other automakers if they could suspend or limit operations. GM halted operations at 13 facilities, leaving many workers bundled up at home. Now, the UAW says those employees who stayed home won’t have their pay affected by GM’s decision. GM resumed normal operations in all but one plant as of today. GM initially suspended operations at 13 factories and four non-manufacturing sites, including Bay City Powertrain, Orion Assembly, Flint Assembly, and many more. 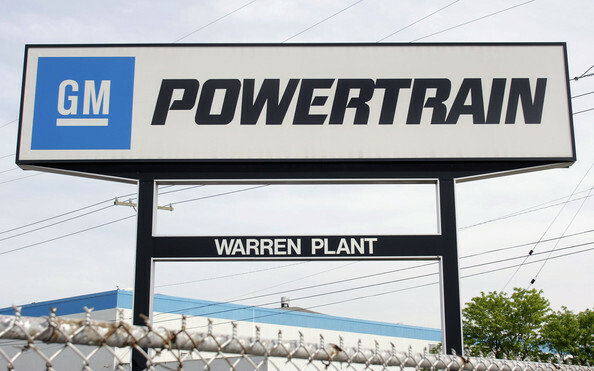 The non-manufacturing locations affected by the suspension included Warren GM Tech Center, Pontiac Engineering, and Grand Blanc Customer Care and Aftersales HQ. However, by Thursday afternoon, GM had resumed limited operations at five facilities—Lansing Regional Stamping, Flint Stamping, Flint Engine, Pontiac Stamping, and Warren Transmission. After the fire at the Consumers Energy compressor station, the company urged customers to lower their thermostats to 65 degrees to help the company manage its gas supply. This came at a time when temperatures and wind chills reached well below zero with experts warning frostbite could occur within minutes to exposed skin. The situation was so dire residents of the City of Warren were in jeopardy of having their gas shut off and their electricity. The effort by GM and others to suspend operations helped keep the gas flowing to Michigan’s third-largest city.